Cash prizes are awarded throughout the night based on color-pin combinations. The music gets turned up, the lights go out, everything glows under black-lighting, just like going to a night club! 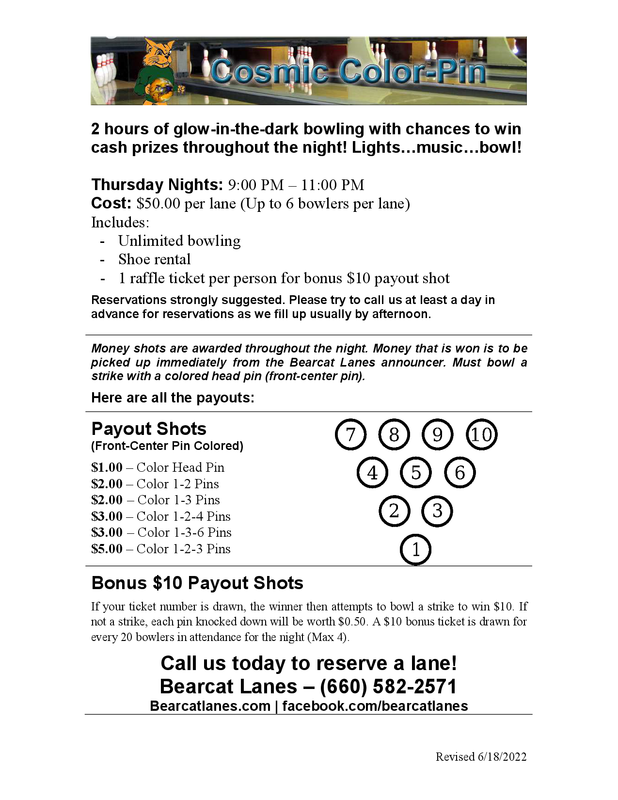 Thursdays from 9:30 p.m. - 11:30 p.m.
Cash prizes are awarded based on color-pin combinations. You can win from $1.00 to $5.00. For every 10 bowlers in attendance, a ticket is drawn. The winners of the drawing will get a chance at bowling a strike for $10. If a strike is not rolled, then $0.50 per pin knocked over is awarded. Only one ticket per person is allowed during the drawings. Most common for youths celebrating their birthdays. Kids love the glow-in-the-dark event! 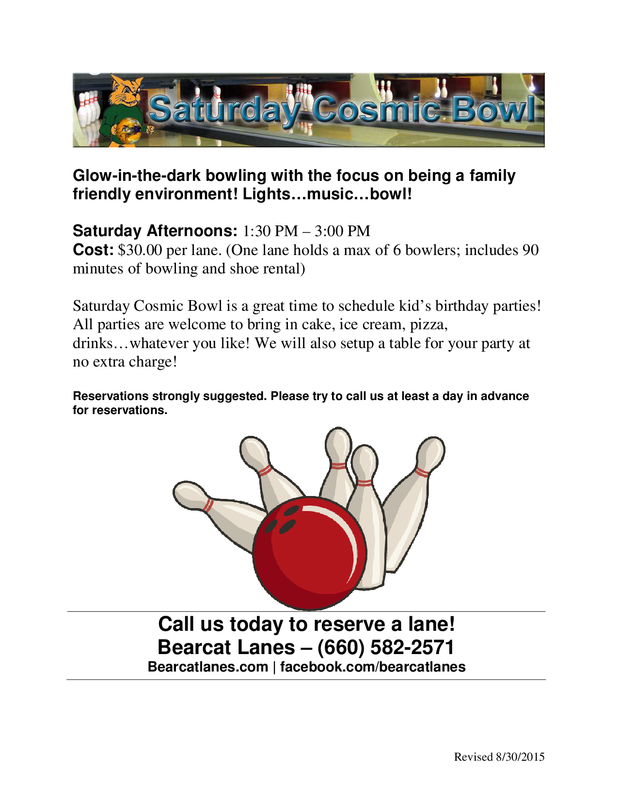 Parents are welcome to bowl with their kids too! Saturdays from 1:30 p.m. to 3:00 p.m. Highly recommended. It's common for us to have several birthday parties at the same time.